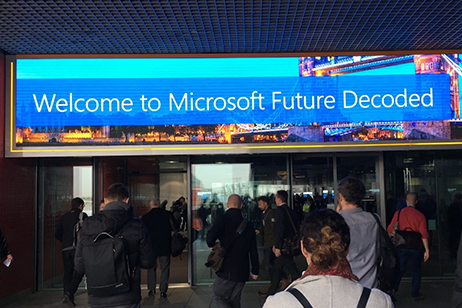 At the beginning of November 2017, thousands of Microsoft enthusiasts met at the ExCel Arena, London, for this year’s Future Decoded event. From new product launches to developing technologies, the event discussed updates on the latest tech ‘need to knows’. There were two clear topics that dominated discussion. These were artificial intelligence (AI) and Microsoft’s cloud services, Azure. At the heart of almost all of the talks over the event were the developments in AI and machine learning. Speakers were making it clear that AI is the way forward for businesses. 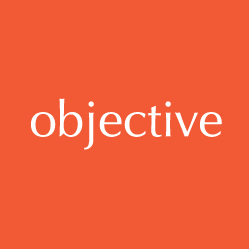 Moreover, not only for large businesses, but SMEs too. Being in an era fuelled by data, “the use of AI is becoming the new normal” said Joseph Sirosh, CVP of Microsoft AI and Research. Whilst some believe that AI will wipe out 30% of jobs, or even lead to the development of the Terminator, we know this is not the case. The current state of artificial intelligence can be termed as ‘narrow AI’. Another way of phrasing this could be assistive intelligence; helping job roles, not replacing them. AI is currently at a point where it could help 80% of the workforce that don’t sit at a desk using a PC in their day-to-day work. And with 50% of the global population working mobile within the next 3 years (Panos Panay, CVP of Microsoft Devices), this open a huge opportunity. But, the question is, how? How Will Artificial Intelligence Benefit my Business? There are many use cases for AI in large businesses. Machine learning is critical to the growth of progressive healthcare (Haiyan Zhang, Innovation Director of Microsoft Research). Microsoft’s research into both Parkinson’s (Project Emma) and Cystic Fibrosis (Project Fizzyo) are utilising AI for the better. Yet, the same cannot be said for SMEs. Currently, there aren’t a lot of use cases for how AI and machine learning can significantly add business. Thus, a considerable investment in artificial intelligence can be difficult to justify. Through simple image and speech recognition, a chatbot could add significant value to any business with a website. Whilst early chatbots struggled, recent developments have allowed chatbots to establish human like responses. We’re now at a point where bots are more intuitive and helpful at ‘narrow tasks’ than a person. However, bots are only the beginning. Predictive analytics will optimise business decisions for SMEs. Alongside the underlying discussions of AI were that of Microsoft’s cloud services, Azure. Julia White, CVP of Azure and Security Marketing, was keen to promote the successes of their cloud platform, stating 90% of the Fortune 500 use Azure. What was more interesting however is the discussion on how business are transforming. Julia announced however, that Azure has the ability to keep your business relevant, with virtual unlimited capacity. One concept Julia promoted is how Azure has become a hybrid cloud. Combining both public and private clouds, data and applications can be shared and scaled seamlessly between them. Microsoft reinforced that AI and machine learning are emerging technologies that should be utilised by most businesses. Unfortunately, it’s not as simple as it sounds to go alone. With many different platforms and algorithms, you may well need to call upon external help. Once you ask your critical business questions, data scientists can identify what is relevant to your data sets to bring about the answers, and predict actions to be taken to achieve a positive outcome. “Data is the fuel that drives the business; AI and machine learning refines the fuel. Working with accredited Microsoft data analytics consultants, AI assistive technology could help 80% of the workforce in their day to day work”.